Seller Paid $97,500, Seller Sacrifice Price Now Only $85,000! Here's your chance to own a beautiful piece of waterfront property in a quiet cove off of Lake Rhodhiss! 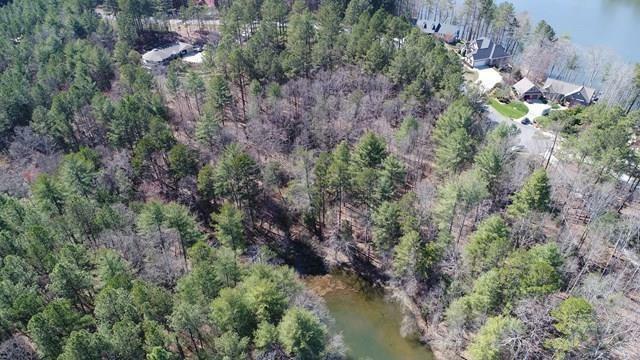 Just 3.5 miles from interstate, this .872-acre interior lot is located on a cul-de-sac in the Harbor Ridge subdivision a beautiful and thriving waterfront community in the foothills of Western NC! The gently sloping topography provides many choice building sites for your Retirement, Vacation, or Permanent home. Enjoy the luxuries of your Lake Rhodhiss playground, while having the security of living in a highly-maintained gated community with a strong HOA. Amenities at Harbor Ridge include underground power, underground telephone, city water, stone entrance, paved roads, security gate, pavilion, community boat slips, secure boat storage, and community access to beautiful Lake Rhodhiss. Dining, medical, and interstate are all just minutes away.